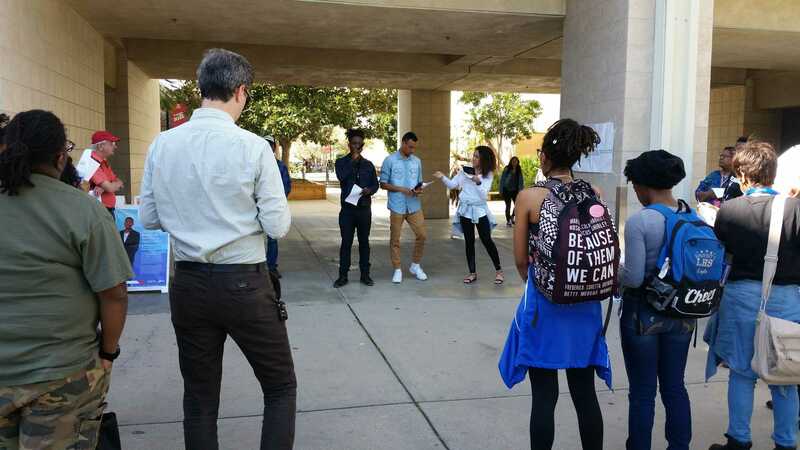 The All Armenian Students Organization protested outside the Oviatt Library Thursday to educate students about the history of the Armenian Genocide. Red tape was placed over their mouths with word “denial” as they sat holding signs and flags. 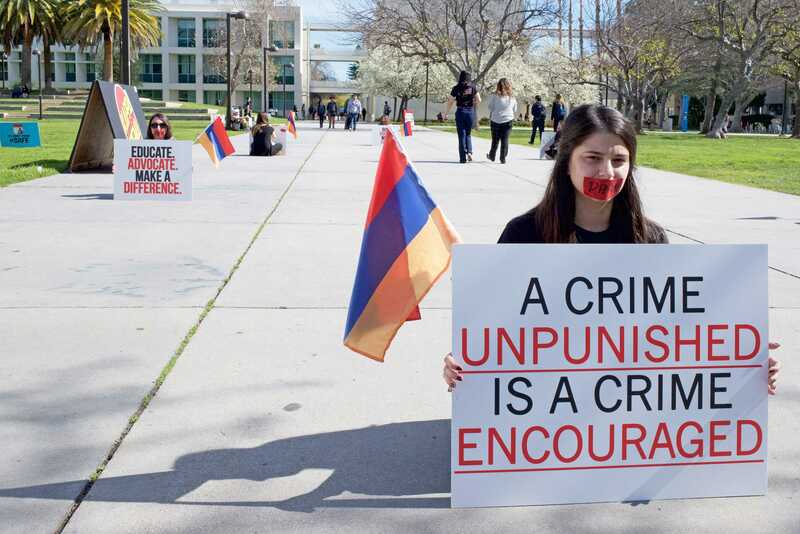 Biayna Ayvazian, president of the All Armenian Students Organization, said the protest is to raise awareness of the injustices that have taken place against the Armenian people. The 24-year-old graduate student said the tape over protestors’ mouths represents a metaphor for the culture being silenced. Not only did this protest take place at CSUN, but at other schools within Los Angeles county and throughout the state as well. Some of the schools having the silent protest include UCLA, USC, UCSB, UC Berkeley and even Glendale Community College. According to Ayvazian, there are also universities on the east coast that participated. In addition, the protest is about other races and cultures that have gone through similar injustices, according to Ayvazian. According to Kapaktchian, the protest also encourages people to ask questions. The silence of the students with tape over their mouths make students want to stop and ask what is going on. Last year, the protest drew in 60 participants. The year before, about 80 people attended.